Abstract: CeBIT, as the largest ICT trade fair, aims to display the innovative achievements on Digital IT, household and enterprise communications technology. During the times of information technology, robot is a warm topic. There is no doubt that there are multifarious robots exhibited on CeBIT 2016. 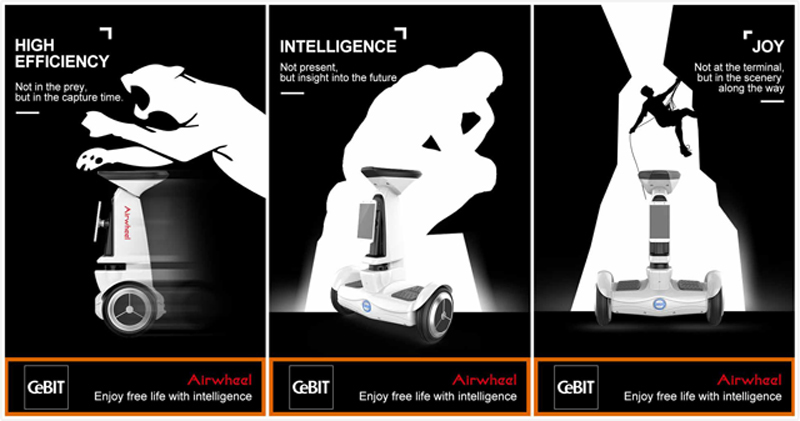 Airwheel rolled out S9 service robot on CeBIT 2016 giving more than you think. Though Airwheel S9 intelligent robot belongs to the S series—two wheel self-balancing electric scooters, it differs from other members fundamentally. Taking controlling of the Airwheel S3 2 wheel electric scooter, S5 SUV self-balancing 2 wheels scooter or S6 sitting posture self-balancing scooter, rides can balance by leaning forward and backward to control the vehicle as it accelerates, decelerates, and brakes. Airwheel has incorporated attitude control theory, software algorithm, and gyroscope systems to develop the S-series vehicles. 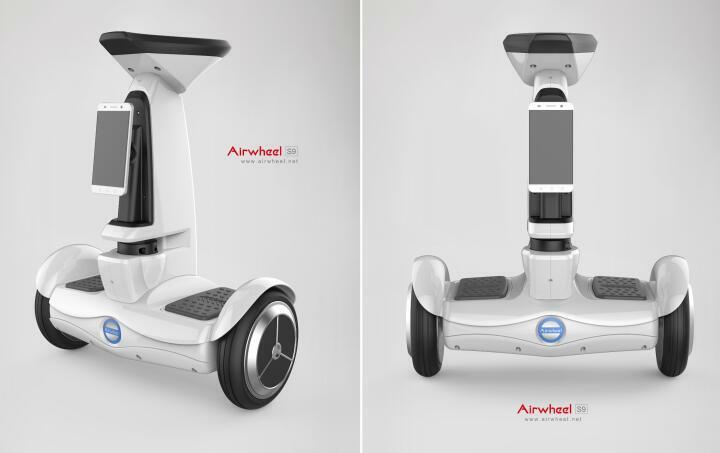 Airwheel S9 is a two wheeled self-balancing robot, adapting different technologies. To begin with, Airwheel S9 wheeled mobile robot is adapting the auditory collecting system, combining with the built in laser radar to enable the interaction between human and computers. Then, comprehensive locating system and route planning system installed on Airwheel S9 intelligent wheeled mobile robot can enable it to avoid obstacle automatically. Coupled with IoT and Cloud technology, Airwheel S9 service robot is capable of executing orders by remote control. In the near future's promotion of plugins and software, Airwheel S9 two wheel balancing robot will be your intimate friend and help you do more things. In a word, Airwheel rolled out S9 service robot on CeBIT 2016 giving more than you think. The emergence of Airwheel S9 is a breakthrough for Airwheel, as it is extending its focus into artificial intelligence. Previous：What is the difference between Airwheel S6 and Airwheel S8? Next：What happened on Hall 17-H06 at CeBIT 2016?